Jonathan Evans concentrates his practice on structured finance and asset-backed securitizations. 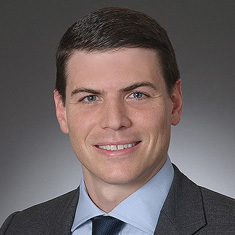 Jonathan regularly represents various parties in the structured finance market, including issuers, underwriters, lenders and borrowers, in both public and private transactions. He has experience with prime and sub-prime automobile loans, automobile lease and dealer floorplan receivable securitizations and warehouses, mortgage-backed securitizations, secured warehouse lending facilities, revolving credit facilities and structured term loans. During law school, Jonathan was an articles editor for the Connecticut Journal of International Law.